Set them up. Move them around. Stack them up. And, do it over and over again. Maestro chairs are built to withstand vigorous use and still provide years of convenient, versatile seating. Our chair is priced to accommodate highvolume seating needs and modest budgets. We supply in Chennai, Tamilnadu and South Andhra/Telangana. Amul Polymer India Pvt. Ltd.
Moderna fully moulded polypropylene stackable chair with diamond design as back rest with adequate reinforcement below the seat for strength. Weighs approx. 2330 grams. 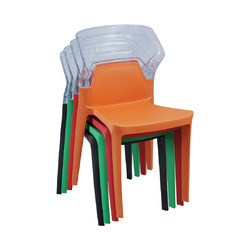 Backed by huge industry experience and market understanding, we are involved in offering a wide array of Plastic Stackable Chairs for our valued patrons. 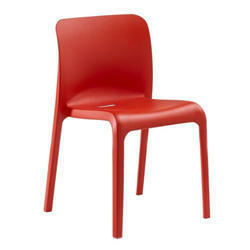 Our organization is offering Stackable Plastic Chair to our clients. All these chairs are well designed and are extensively demanded all around the nations. These chairs are strong in nature and ensure longer functional life. These are available at pocket friendly prices. We offer a wide range of Stackable & Fixed Chair.